But how do you successfully bring the two together? This is where we come in. With a storytelling campaign about the quality of tyres, which works on the social web and at the same time reveals the acting skills of the former world champion. You have never experienced Sebastian Vettel like this before – a surprise moment, coupled with the right amount of humour and sympathy! The scene actually begins quite harmlessly: workshop master Vettel – camouflaged with mullet, beard and small prosperity – receives the first customer, Mrs. Hansen. Unfortunately, he has to tell her that the mechanics have noticed something about your car. A strange sound that you don’t hear during normal driving. 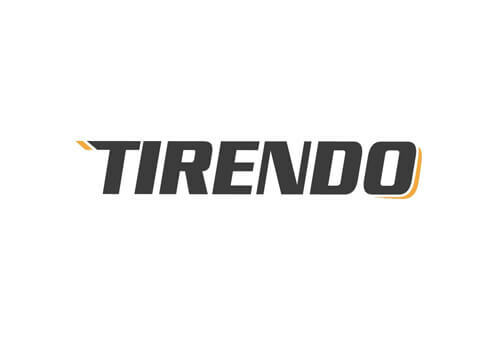 And so begins the success story for the branding campaign for Tirendo. Sebastian Vettel’s role as a mechanic is fully absorbed and with him the media that literally tore the film on our hands. Our focus was on developing a likeable film character in which Sebastian Vettel can play his part and shows him in a way that nobody has ever seen before. And the concept works, because it is based on the right mix of humour, storytelling and authenticity. Authenticity already in such a way that the Hessian accent of the Werkatt Vettel was not trained – quite the contrary. Here come up true youth memories, in which he made fun of friends in Hessian. Efficient production that, after in-depth analysis and consulting, was already optimally geared to distribution in the right channels – and exceeded all expectations. Online, the campaign turned into a real media spectacle. Within two weeks, with “Vettel aus rasanter Probefahrt” we achieved over 1500 media contributions in more than 30 countries, including editorial contributions in online newspapers such as Spiegel, Stern and Co. In addition, the commercial appeared in several TV reports – and this at the best time of day! A study was commissioned to document the impact. During the survey period, TV broadcasts were low. Therefore, an impact from the successful viral campaign is clearly measurable. The average shopping basket value and sales increased by 15% compared to the previous year. The campaign reached a total of almost 90 million users and triggered a real tirendo hype.